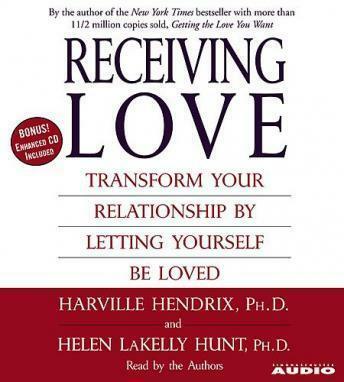 This groundbreaking audiobook from the best-selling authors of Getting the Love You Want and coauthors of Giving the Love that Heals is the first to address the biggest unexplored issue facing couples today: Most of us are better at giving love than accepting it. didn't care much for the book, but mostly because I felt like I was being talked down to, AND because it just wasn't what I expected. This one will beg you to listen to passages again and again. Keep a pad and paper handy to jot down disc, section and time so you can easily find the discussions in which you have interest. Using case studies, the authors illustrate 6 individuals in paired relationships wherein the partners and the relationships are troubled. Over the treatment period, the origins of a partner's personal struggles are discussed, what manifests the personal issues into a relationship stopper and eventually, what treatments might lead to some healing. Great listen.